Mr. Dice are large, red, vaguely humanoid dice with yellow spots on them. Mr. Dice are found only in Donkey Kong 64. Mr. Dice are rarely encountered exclusively in Frantic Factory. Two Mr. Dice are found in a large room filled with giant toy blocks. 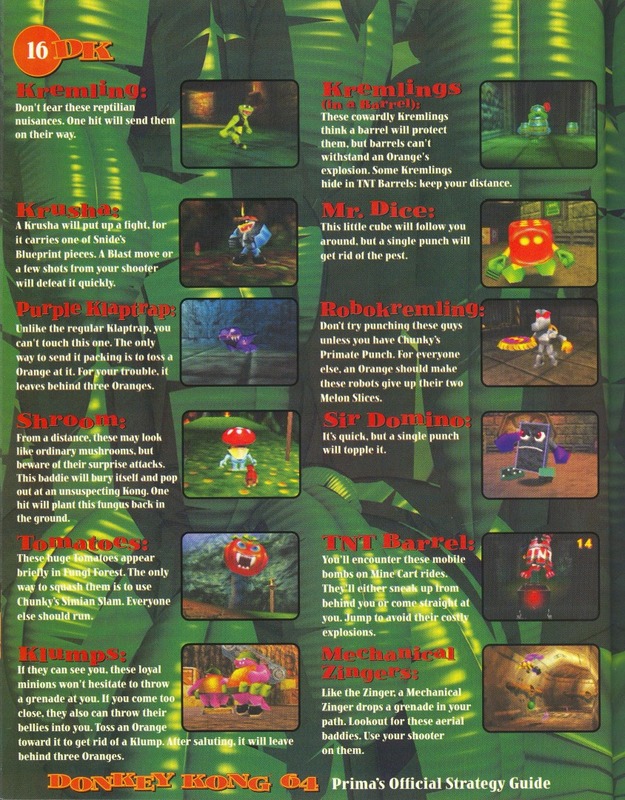 Another one can be found in the room where Chunky Kong fights the Toy Monster; several Mr. 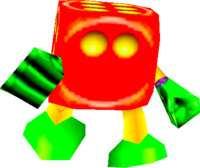 Dice also compose the Toy Monster's body. Two more Mr. Dice can be found in Diddy Kong's puzzle room in the R&D Room. A Mr. Dice can be defeated in one hit. This page was last edited on August 26, 2018, at 22:24.